Whew! What a week! We had parent/teacher conferences on Wednesday and Thursday. I absolutely love parent/teacher conferences. I love discussing how my students are doing, but even more, I like to hear the parents talk about their kids as well. I had a lot of parents asking great questions about how to help their child more at home. It was great! Most of the time, I have already met all the parents at Back to School Night right before school begins, but since I moved schools on the fourth day of school, this time was my first time meeting most of the parents! It was a good time. We also have the book fair going on in the library during our conferences. One of my firsties bought our classroom this fun little book. I'll admit... I totally put this on my wishlist because I absolutely love tacos. Yum. Plus, the book is great. My kiddos loved it! This embarrassing picture above is what my dinner snack looked like Thursday. I had all my conferences basically back to back that day and after about 2 1/2 hours went by, I was starving! And, I'm not pretty, polite, or fun to be around when I am hungry. I darted for the lounge and grabbed everything in sight. And, this fun picture is from our fun weekend! Dear Boyfriend and I roadtripped two hours to our dear friends' wedding. It was beautiful! Now to the fun stuff I've been working on! 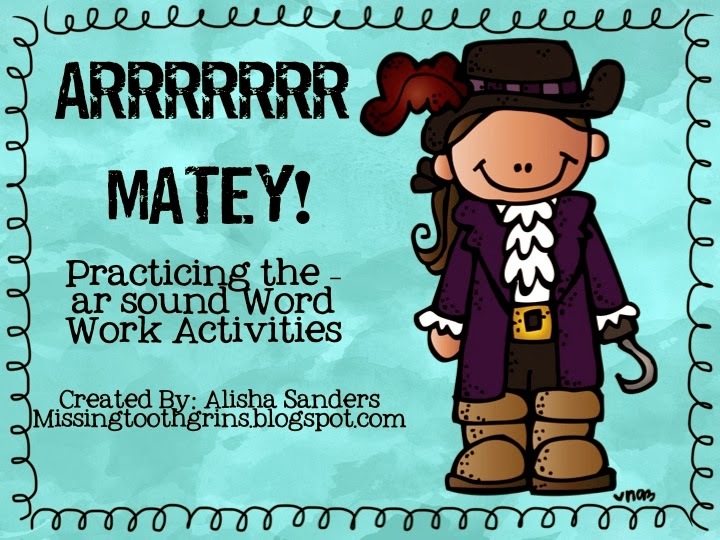 I'm sure many people teach their students' the -ar vowel sound by teaching that's what pirates say. I decided that my firsties knew the -ar sound very well, but needed more practice at their word work stations. 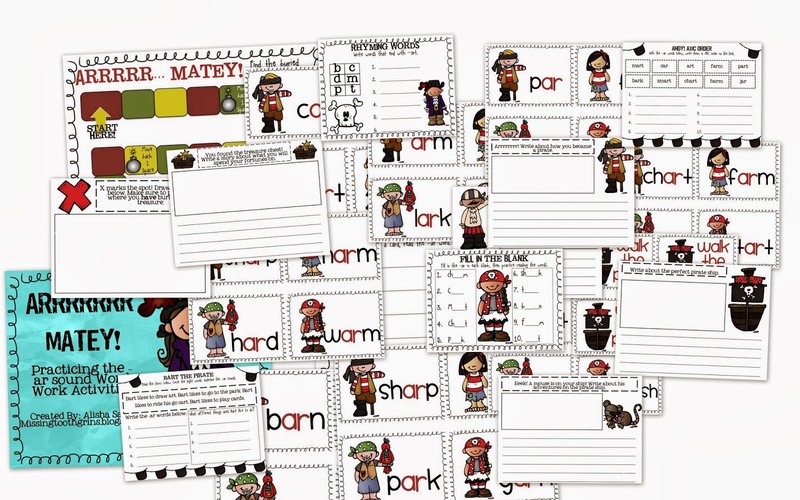 It includes a game with 32 cards containing -ar words, 5 pirate writing prompt pages, Bart the Pirate story with sight words and -ar vowel practice, ABC Order, and fill in the blank pages. I plan on putting these in my Word Work area for Daily 5. The writing prompts will go in my Work on Writing section of Daily 5. I know my firsties will LOVE the game. They love anything as long as it has the word game in it. Just click on the above pictures and they will take you to my TPT store.